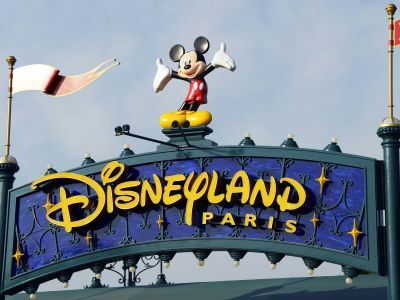 It is not nearly as large as the Disney extravaganzas in Los Angeles and Orlando, and, let’s face it, the French weather, rather like that nation, can blow hot and cold, but Disneyland Paris is something we don’t have in the UK. If you are thinking of a family trip in 2017, it is very much worthwhile considering. It is surprisingly easy to get to, English is a requirement for all public-contact cast members (staff in Disney language) and if you plan ahead, while it is still not cheap, overall it is fair value. Next year will be a special one for the theme park 20 miles to the east of Paris. It celebrates 25 years. And Mickey Mouse and his mates will be making the most of the anniversary. If St Pancras International London is within easy reach, that is the best starting point (or Ashford in Kent, where most services stop). Eurostar runs a daily train direct to Marne-la-Vallée, just outside the park gates. Otherwise there is a change at Lille. You would have already passed immigration and, time permitting, a visit to the large Carrefour hypermarket, just 100m away, might put you in a French mood. Coach trips are available from many points. From Charles de Gaulle Airport, the shortest travel time is just 10min. The complex is about a 3hr drive from Calais. 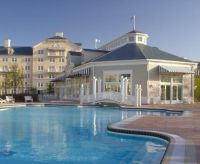 Disney offers 5,700 rooms in its seven hotels and within its reach are six associated properties. 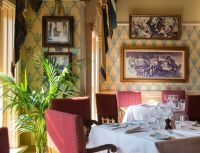 BTN stayed last September at the recently-refurbished Paris Disneyland Newport Bay Club, now 4-star and modelled on a typical New England 1900s coastal mansion. It is a short walk to the park gate, or you can take the free shuttle. For a family visit, it has the largest indoor/outdoor swimming facilities in the complex. The season kicks off on 26 March 2017, just in time for Easter. Visitors are promised “a multitude of new shows from morning to night”. Do not think of Disneyland Paris as one theme park. It is made up of two complexes. Firstly, the Disneyland Park, consisting of four distinct areas (more anon), Walt Disney Studios, plus Disney Village, which is free and is essentially a shopping complex, and a golf course. Your ticket covers both the park and studios. Be prepared to queue even if you have a Fastpass, but children with certain disabilities are given priority. Reckon on a minimum of two nights; if you want to take in Paris as well, it is a full week’s holiday. The Disneyland Park consists of Adventureland, Frontierland, Fantasyland and Discoveryland, all bound together by Main Street, the Central Plaza and the Sleeping Beauty Castle. The Disneyland Railroad surrounds the park and one idea is to take the train upon arrival and get a real feel for the place as you ride high above the various offerings. With 43 rides and attractions it is difficult to highlight one as the best, and your editor-in-chief was only with wife and no grandchildren in tow, but 'It’s a Small World' and 'Big Thunder Mountain' are as good as ever. With a huge selection of eating places, 'Walt’s Diner' offered a typical American meat meal where you could watch the musical display march by. Walt Disney Studios includes the stunt rider theatre, the studio tram tour and in the backlot the 'Rock ‘n’ Roll' roller coaster for those with strong nerves. For us, CineMagique was the highlight of the whole visit, a 45min montage of nearly 100 years of movies, and not just Disney. Brilliantly edited, it is a unique experience watching very very short excerpts from 60 of the world’s most iconic films with a story line conducted by a live actor’s performance synchronised with the screen showings. The actor even seemingly came out of the film on to the stage. Magic. Included was Birth of a Nation by Griffiths, Chaplin’s Behind the Screen, The Magnificent Seven, Doctor Zhivago, Casablanca and, from more modern times, A Fish Called Wanda. Nothing from the 21st century and no Mickey Mouse. Star Tours is new for next year. Based on the Star Wars films, it promises to take visitors on an action-packed intergalactic voyage, all in 3D, to multiple Star Wars destinations to interact with some of the well-known characters from throughout the saga. Every destination will offer special surprises, with journeys through the worlds of Jakku, Hoth, Tatooine, the Death Star and more. The interactive nature of the attraction means visitors will be able to take part multiple times without experiencing the same adventure, with all the storyline’s twists and turns at random. Visitors will also be able to join the Rebel Alliance by becoming pilots on Star Wars Hyperspace Mountain, in Disneyland Park, as they hurtle through the Star Wars galaxy, following TIE fighters and an intimidating Star Destroyer. 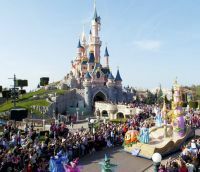 Also arriving in style at Disneyland Park in 2017 will be the latest Disney Stars on Parade procession, with favourite Disney characters and innovative floats, plus a new show, Happy Anniversary Disneyland Paris, presented, naturally, by Mickey Mouse. In addition, fans of the Disney princesses will be able to witness the royals hosting their own sparkling show, The Starlit Princess Waltz, at Royal Castle Stage. Finally, as night falls, there will be another new event in the shape of the Disney Illuminations over the Sleeping Beauty Castle, transporting visitors to a location where the stories of Disney’s The Little Mermaid, Frozen and the films of Disney’s Beauty and the Beast, Star Wars and Pirates of the Caribbean will come to life. Disneyland Paris has welcomed 300m visits since opening in 1992, including 14.8m arrivals in 2015. The target for next year is 15m. It is the largest theme park in Europe.